Let’s fire up our creativity as we write and record songs! Award winning songwriter and educator Havilah Rand leads all summer camps along with other great musicians, songwriters and educators. We’ll engage in a variety of activities such theater games, word and picture collaging, listening sessions, journaling and outdoor adventures in both natural and urban settings to find inspiration for song topics and lyrics. As our songs take shape, we will record them using a basic recording unit and high quality microphones. Those who play instruments are encouraged to use them but no musical skills or past experience are required. There will also be opportunities for those who are interested in sound engineering to learn more about the use of microphones and basic recording gear. Our work will culminate with a full length CD and and CD release celebration. Most summer camps last four days and are usually 10am – 3pm with small breaks for snacks, playtime and lunch. 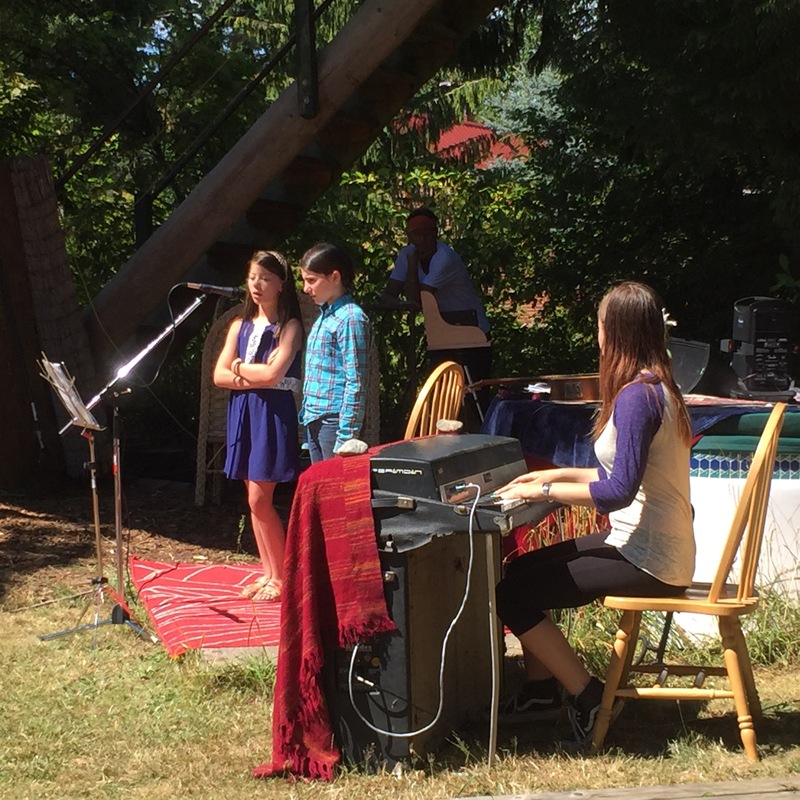 Our last day of camp includes an informal performance and celebration of our songs and recordings. Here is the schedule of this summer’s camps. If you are interested in registering, please read the description of the camp to find out who to contact. You can always email Havilah at havilahrand@gmail.com to find out more and to ask questions. A few of our camps require that you register through us and the materials are located on the sidebar along with a paypal link for paying deposits.